Here we go! The top 5 reasons why virtual golf is great practice. 1. You can get an exact understanding of your distances. In the real world, golf is full of variables. 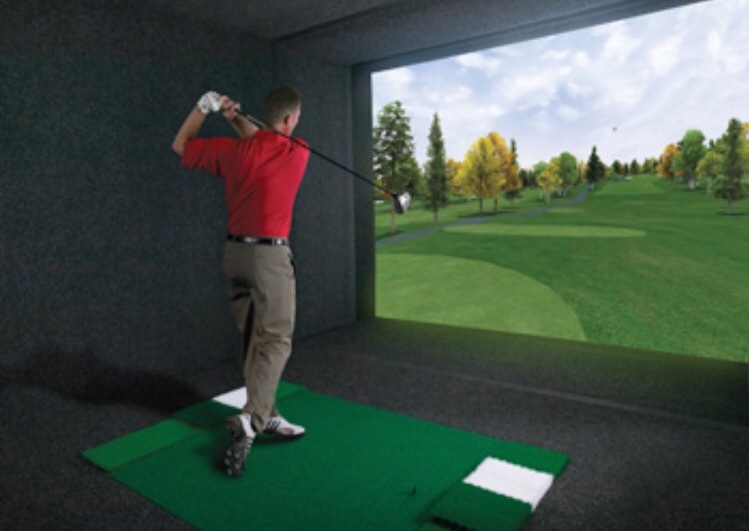 You have wind, rain, roll, etc… the golf simulator eliminates all of that. You can get a very good understanding of your carry distances and ball flight. 2. 18 holes takes 2 hours instead of 4. In the same time it takes for you to play real golf, you will have hit twice as many golf shots in virtual golf. This gives the player the opportunity to see more holes and understand their misses better. 3. You can play almost any course you want. Most virtual golf simulators have a database of 20+ golf courses. This gives you access to the types of shots that you would otherwise have to be a tour pro to play. In addition, you can control the elements you plan to make it harder or easier. 5. You don’t lose any golf balls. The moral of the story is that virtual golf can be a better use of practice time then spending a lot of energy on the range. Especially when you can get a deal for “off hour” rates or go with a friend to split the bill. It will never be as good as playing in real life, but it’s better than hitting balls in the snow. Both have great simulators and are a lot of fun.